Jody Watley featuring SRL. make an impressive debut on the UK Soul Chart Top 30 at Number 6. No stranger to chart success, Grammy award winning songstress,songwriter, producer and style icon Jody Watley has had hits spanning decades as a solo artist, and before that as the original female lead voice and sound of the group Shalamar. Currently, Watley has now gone into a rare category of a successful artist to create a new group and see it garner it’s own success and identity with her renamed Jody Watley ft. SRL originally formed in 2015. The beginning of 2018 began with an unexpected surge of support for “The Mood” after a remix from esteemed Italian DJ Remixer Producer Alex Ci Dio. Di Cio played it for New Year’s Eve revelers. The remix turned out to be a real floor filler then catching the ear of British radio personalities. Since that time and with Avitone Recordings bringing in a specialist team to further get the single out. Released to digital outlets on February 12, 2018 where it also debuted at Number 11 on the Top 20 Mi-Soul Soul Connoissuers Chart, Jody Watley ft. SRL’s “The Mood” has already shot to Number One on Solar Radio and in the tops of numerous playlists with prime play on key stations and building. Contact: Steve Ripley Soulfood Music UK for more information and radio requests. Label: Avitone Recordings • BPM: 91 • Genre: R&B / Soul • Released: 2018. Jody Watley and her new group SRL featuring Nate Allen Smith and Rosero McCoy return with “The Mood” remixed by Italian DJ Producer Alex Di Ciò. An awesome contemporary R&B song from the forthcoming “Bridges” full length. Los Angeles based SRL vocal trio established in 2015 featuring Jody Watley, Rosero McCoy and Nate Allen Smith are working on the debut full length “Bridges”. 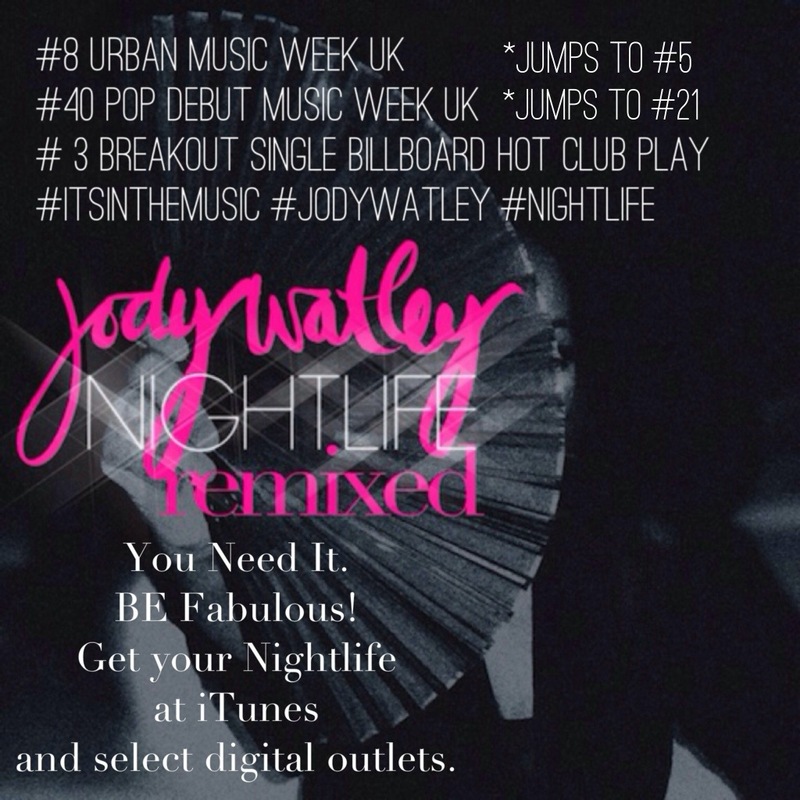 Jody Watley, original female lead vocalist of the legendary trio Shalamar returns with a new single after her 2013 Top 5 UK hit single “Nightlife”. Watley is one of the most prominent visionaries of her era, and one whose influence remains a key touchstone in contemporary pop music writes Dean Nguyen of Wax Poetics Magazine in a recent feature. The venerable multi platinum selling Grammy-winning singer, songwriter producer, has formed the funky new trio SRL (Nate Allen Smith and Rosero McCoy) to add to the music mix. “THE MOOD” – written and produced by Jody Watley and SRL is a feel good blend of contemporary R&B meets classic soul, sure to delight music lovers of all ages. The Italy based DJ/Producer Alex Di Ciò remix provides an additional bounce to the groove. With sold out concerts in America, Asia and The Netherlands building visibility the past 3 years; Jody Watley and SRL are destined to be music’s next great music group for the 21st century and definitely get you in the mood for love and good times. A massive track. Alex Di Ciò is an historic Italian DJ since 1981, Producer and Remixer since 1996 with very important international labels. He is a true legend of the contaminated sounds from the blend of past and future. His re-edits and remixes of rare and classic Disco/Boogie/Funk tracks are proving to have considerable success across the world. New adds on BBC London, Bristol, Manchester, Jazz FM, and more. “Massive record.” – Gary Spence, Solar Radio. “Nightlife” comes in at #3 “Breakout” Single on Billboard Magazine’s Hot Dance Club Play (chart publish date November 30, 2013). This is exciting news. What it means is that the single will make the full chart soon as it continues to garner support by DJ’s around the country – and keep the club kids twirling and fabulous on dance floors.